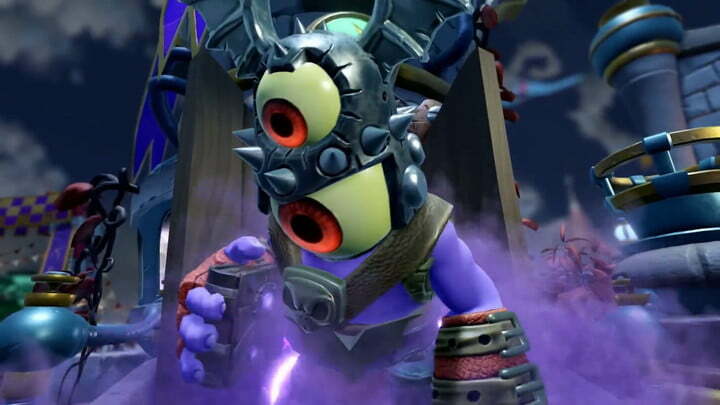 When Skylanders introduced the “toys-to-life” genre of NFC statue-enhanced video games in 2011, it offered one of the first truly innovative ideas in gaming for a decade: the tantalizing promise of breaking down the barrier between digital and analog play. Five years later, the latest entry in the genre-defining series again leads the way in further assaulting that division. 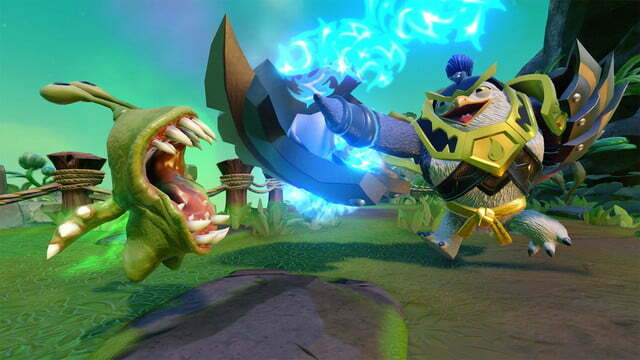 Skylanders: Imaginators, the sixth proper entry in the franchise, allows players to create their own Skylanders characters, then bring those original creations into the real world with on-demand shirts, cards, and 3D-printed toys. 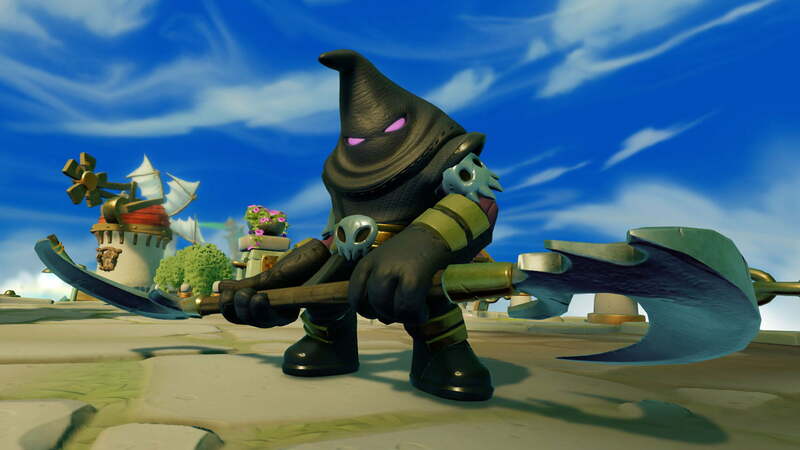 We went hands on with Imaginators recently in New York and spoke with its creators about this exciting next step for the franchise. Toys for Bob isn’t straying far from the established formula, but that’s by no means a bad thing. 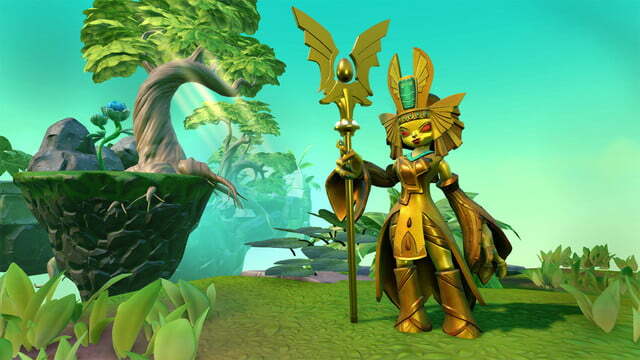 To create a new Skylander, players start by choosing an element and class, which together will define their play style and available abilities. For the actual character designs, players select parts from extensive menus of heads, torsos, arms, etc. As they go through the game, players will unlock a wider array of parts from which to choose, and they are free to go back and tweak or wholly change their character’s appearance (though not their element or class) at any time. While most parts are purely cosmetic, there is also collectible gear like backpacks which does provide stat boosts. The player can adjust each individual component’s size. Pre-designed color schemes are available to create a quick and aesthetically pleasing look, but meticulous players can go in and change individual colored elements within each component to their liking. 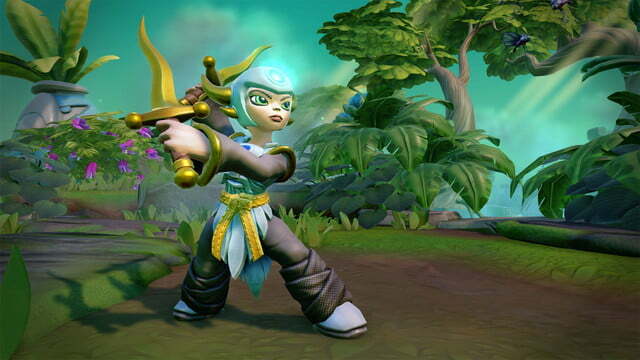 To top it off, players can select a voice and personality for their character. In just a few minutes of playing around we threw together Pierre, a wise-cracking and squeaky-voiced little treant swashbuckler that would be right at home in a light-hearted D&D campaign. The editing tools in Imaginators are as deep and powerful as anything you would expect from a contemporary video game, and strike a good balance between ease of use for casual players and depth of control for more invested creators. Character creation will be available free for anyone whether they have Imaginators or not through the Skylanders Creator app, launching for iOS and Android soon after the game. Creator includes the exact same character creation tools as the in-game editor, with the addition of timed chests containing additional parts to reward players for checking in throughout the day. 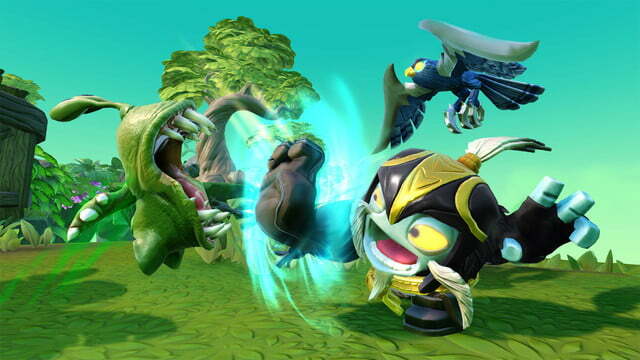 Players can share their creations directly through the app to their social media channels of choice. To Bring characters from the app back to the game, developer Toys for Bob have employed a bit of clever technical wizardry. 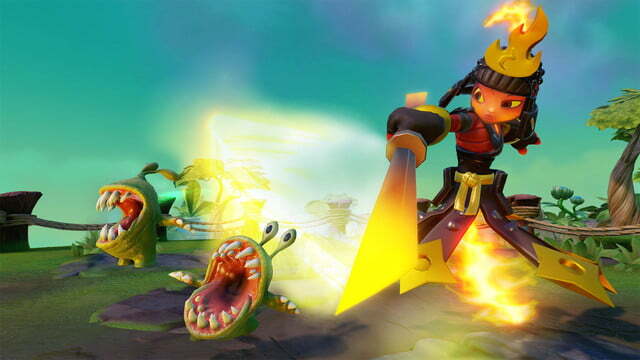 While the obvious answer would be to simply transmit the data over the internet, Toys for Bob president Paul Reiche III said many Skylanders players don’t have internet-connected consoles. To cater to those players, the studio has made it possible to transmit characters through the air via sound. 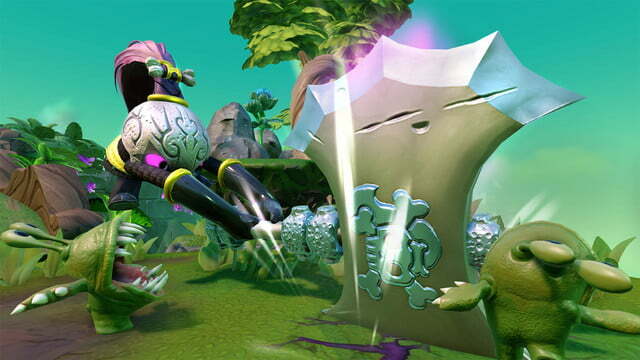 Players can share their creations by exchanging audio recordings, instead of going through in-game networks. The transmission is noise-resistant, and transmitted fine over our conversation. Using a brief sequence of encoded bleeps and bloops to exchange characters feels just as tied to the playground as it does to the living room. 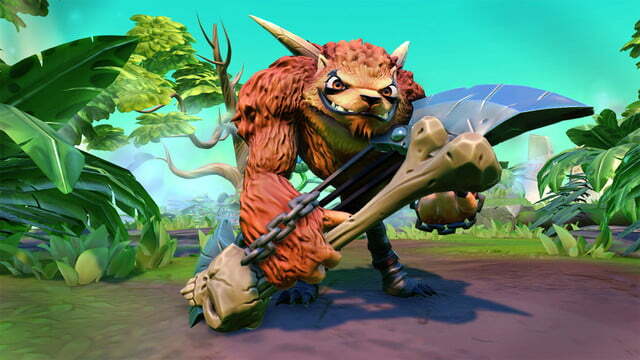 The app also provides the means by which players can bring their creations into the real world. Players can order full-color t-shirts featuring their characters in an action pose, along with their name, class, and element. For a more practical manifestation, players can use the app to order a custom plastic playing card, again with a full-color image of their character. 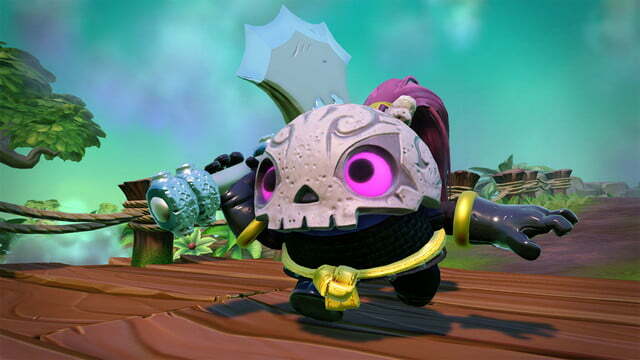 The card is also NFC-enabled like the original Skylanders toys, allowing them to bring their character around with them and scan in at any friend’s Portal of Power. While the image on the card is fixed after printing, players can still fully modify the characters carried within the card. Finally, the most exciting promise of new technology is that players will be able to order 3D-printed figures of their creations. The figures will be posed on a stand and enclosed within a clear plastic dome. Like the extant Skylanders toys available for retail, the figures will be scannable into the game through its NFC Portal. Availability for 3D-printed Skylanders will be limited, initially just through marketing promotions and Skylanders design contests. It is not clear when (or if) they will become consistently available for everyone. Prices for these physical items have not been announced. As a game, Imaginators has the same light-hearted and accessible blend of platforming, puzzling, and action that has marked the rest of the series. We played through a level based on Crash Bandicoot, the early PlayStation-era game mascot who will make his triumphant return in Imaginators this year, before returning to PS4 in a series of remastered games. Controls were smooth and gameplay was relatively easy, but satisfying. Developer Toys for Bob isn’t straying far from the established formula, but that’s by no means a bad thing. Imaginators stays confidently in their gameplay wheelhouse, building on the experience fans know and love. Crucial to that familiarity, like with previous titles in the series, Imaginators is fully compatible with all previously released (now 300-plus) Skylanders toys. Players already invested in their collections will be able to bring their friends along for all of their new adventures. That also includes all of the vehicles introduced in last year’s SuperChargers, with new courses coming for all three types. Players that don’t own vehicles from the previous title will have access to new ones in-game, ensuring that everyone has access to everything Imaginators has to offer. 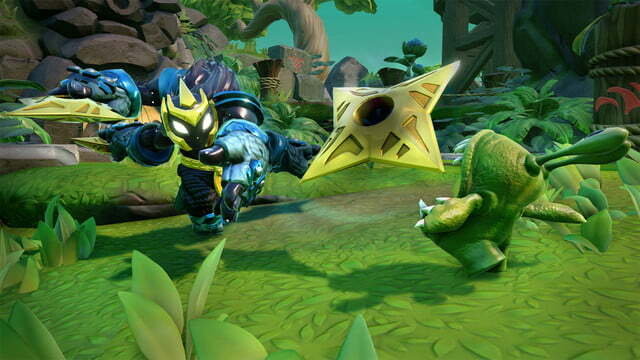 Skylanders: Imaginators smartly builds on everything that’s come before it in the series. The developers rightly recognized that the series’ greatest untapped asset was the collective imagination of its fanbase. 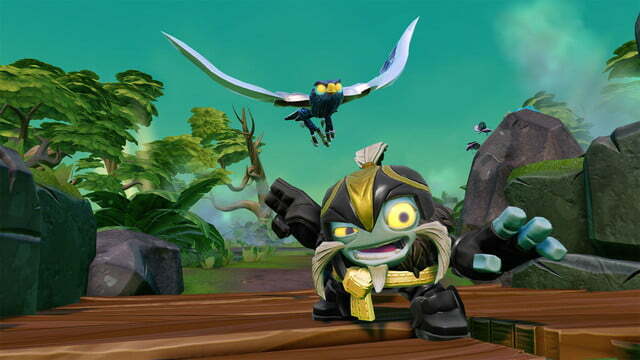 With the character creator, players will populate the Skylanders many times over with a virtually infinite cast of new characters. We look forward to seeing what they come up with when Skylanders: Imaginators launches on October 16 for PlayStation 3, PlayStation 4, Xbox 360, Xbox One, and Wii U, along with the Skylanders Creator app for iOS and Android.